Q. 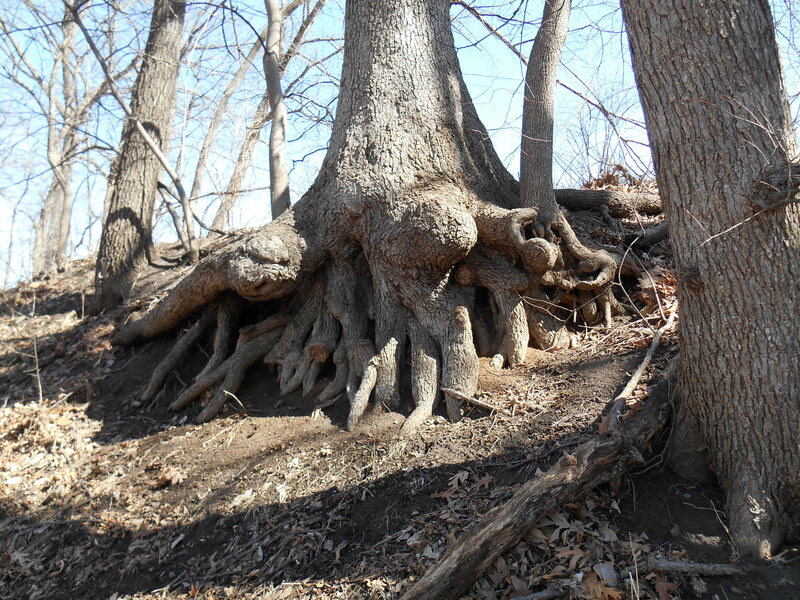 Do you ever feel like you’re trapped because you are rooted to the ground? A. I have chosen this life as a tree. Being rooted, sending my roots effortlessly toward the center of our magnificent mother, the earth, is simply who I am. I would not trade my rootedness, my anchor, my stability, my station in this life for anything. This particular place where I am rooted is my home and will be throughout this lifetime. Here in this place all I need is freely given to me. The radiant life-giving sunlight from dawn to dusk each day – always the soft air, each day with a new quality, sometime mist and cloud, sometimes full on bright powerful heated light; the pink sunsets, purple and gold. ; the colors of light that bathe me in their life giving energies and feed the countless leaves on my crown, sending the stuff of life coursing throughout my entire structure. Some days, the shimmering rains come, the lightning and thunder, followed by birdsong. These fragrant rains that soak my roots and feed every cell of my being are freely given. To receive these gifts is simply to be alive. Perhaps your two legged self cannot imagine the exhilaration, the delight of my life, the expansion, the satisfaction, the joy, the awareness of all that is, the tuning in to the subtle energies of life beyond what humans can sense because my life experience is so different than yours. You were created to move freely, to journey, to seek your daily bread in various ways. Many of you are restless in your movements and unsettled. Your lives are more complicated, take more maintenance than the life of a tree. When your lives overwhelm you, take a breath and imagine yourself as a tree. Send your roots down to the core of the earth. Breathe life giving earth energies in to your center and allow your awareness to expand upward, riding a shaft of sunlight, or the trunk of a tree, opening into full expansion and delight at your crown. Whatever life path you choose with your ease of movement, remember to stay rooted in your true purpose here on this sweet green earth that needs you and your gifts. Then you can expand with confidence and ease into you true nature. Be proudly who and what you were born to be. Take delight in the life your have created for yourself within the limits of your physical self.